The 2014 vintage was unique! It all started with the wet and cold November 2013 resulting in reduced fruit set and much smaller bunches than usual. Improved weather followed through to harvest in late March 2014 with generally ideal ripening conditions. So, lovely fruit but not much of it – with crops a dramatic and painful 75% down! The wines are a tad more intense, rich and even darker than we’d usually see but the underlying fine savoury earthy character reflects the high calibre of the finished wines. 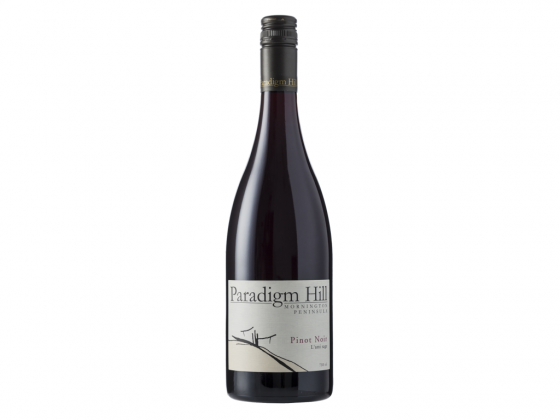 There’s a hint of dry herb and spice, but that in itself is part of the delight of seeing how each season expresses itself with Pinot Noir in a unique way. Once again, the terroirs for the L’ami sage and Les cinq single vineyard wines speak so clearly and distinctly. We maintain a very consistent approach to the viticulture, harvest and vinification yet they each present as such unique individuals! Les cinq has intense, enticing darker red fruit aromas followed by the expected savoury, fleshy and earthy character of this wine. The L’ami sage in 2014 reflects more perfume and elegance, yet, paradoxically exhibiting both subtlety and power. The fine tannin structure builds on the palate and as with the Les cinq, there is a generosity together with a long complex and balanced fresh finish. Whilst these wines are delicious to enjoy now, we believe cellaring for 15 or more years will delight the patient collector.